What City has the Best WI-FI Coverage? It’s no great surprise that people using the Internet in more ways than ever before, with technology only increasing in capability. As shown in the infographic below, more and more options for large-scale public Wi-Fi access are beginning to become available. California and Michigan are leading the way in deploying different types of free Wi-Fi options over large areas, but other states are catching up quickly. With people expecting to be able to access the Internet anywhere through any device, these changes mean a lot for businesses and advertisers. For example, businesses have many more options for reaching people through targeted advertising using newer and faster connection options. Additionally, high-speed broadband Internet access is a key to allowing businesses to expand and grow. According to a survey of economic development organization professionals, having high-speed broadband options within a city or region is critical to drawing in new businesses and keeping them. About 90% of the professionals surveyed say that a broadband speed of 25 to 50 megabits per second is a minimum requirement for attracting new business. Of those same professionals, about 25% say a broadband speed of 1,000 megabits per second will be the standard amount required soon. With the survey’s statistics in mind, it’s easy to see why cities and regions are competing to draw high-speed broadband options. For example, Kansas City was the first city to receive Google Fiber, which provides high-speed broadband Internet access. At this time Google Fiber offers a $70 per month Internet fee for up to 1,000 megabits per second maximum upload and download speeds. There’s even a 5 megabits per second maximum download speed that is free from monthly charges, as long as you pay an installation fee. Don’t expect these various options to be the end, either. High-speed broadband Internet networking is only at the beginning stages. You can expect more and more high-speed networks to appear, which should lead to more expansion of opportunities for businesses. 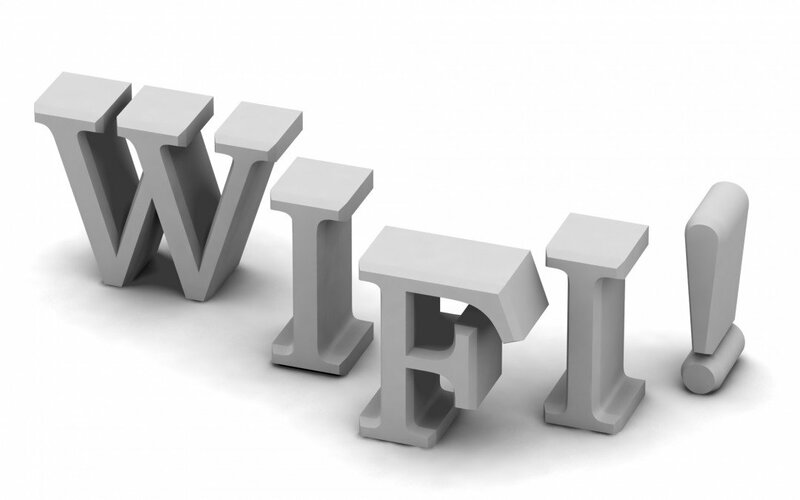 And additional public Wi-Fi networks should piggyback off the high-speed broadband, leading to more options for businesses to connect with people anywhere and on any device. It will be amazing to see what businesses can do over the next several years with this ever-growing connectivity! Felicity Dryer is a freelance writer based in Los Angeles, California. Originally a health writer, she has begun to branch out into writing about technology, which has been a passion of hers since she was young. In her free time, she enjoys hosting game nights with her friends and spending her warm days on the beach. Does your Google Business Page matter? "It's not enough to just have a website. This is where Ryan and his team comes in and provides the content and the marketing strategy to bring you business. It's a breath of fresh air working with results oriented professionals like OMG." Free Digital Footprint & SEO Report. We spend an average of 2 hours to check your business & organization for your online presence and impact. This free report will cover all the areas that are critical to your success online and what you can do about it: SEO, website speed, images, meta tags, keywords, Google search rankings, Facebook, YouTube & other social media platforms to name a few. We list step by step suggestions that can be done to improve in all of these areas. We provide the answers to what you have been missing. Please allow up to 7 days for your report to be emailed. Thank you for your interest. We only allow for 9 of these per month because of the time involved. Please fill out your email address today.